I kind of thought I was done with squash recipes, but apparently my garden felt differently. They just won’t stop growing. So, I guess I’ve got to use them up! I’m always looking for healthy, easy to eat snacks to bring to work. Options seem limited to two categories: full of processed crap, or kind of pricey. These muffins fit the bill perfectly. A little bit of work, but it makes a big batch, and they keep well in the freezer. I purged most of the junk out of these muffins, but they’re still moist and delicious. 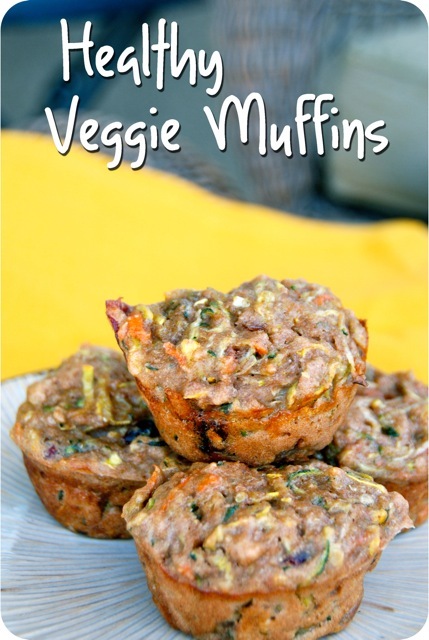 They’re choc full o’ veggies, whole wheat, and just lightly sweetened with honey. I kind of love them. 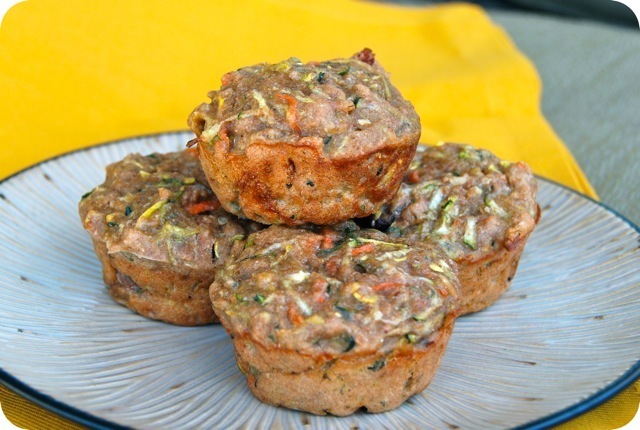 Preheat the oven to 375 degrees and spray a 12-cup muffin tin with nonstick spray. In a large bowl, whisk together honey, oil and eggs. 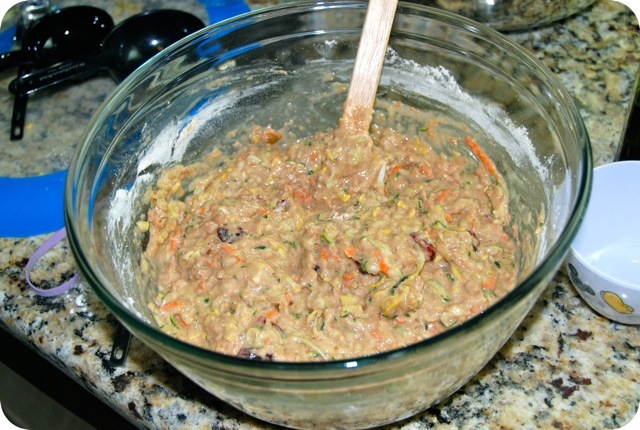 Stir in the veggies, cranberries and nuts. In another bowl, combine flours, baking powder, salt and spices. 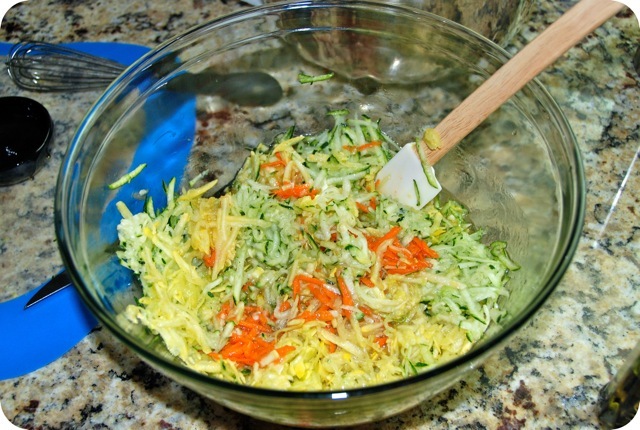 Add the dry ingredients to the veggie mix, and stir until just combined. Divide batter evenly between muffins cups. Bake 20-25 minutes, until edges are lightly browned and a toothpick inserted into the muffins comes out clean.